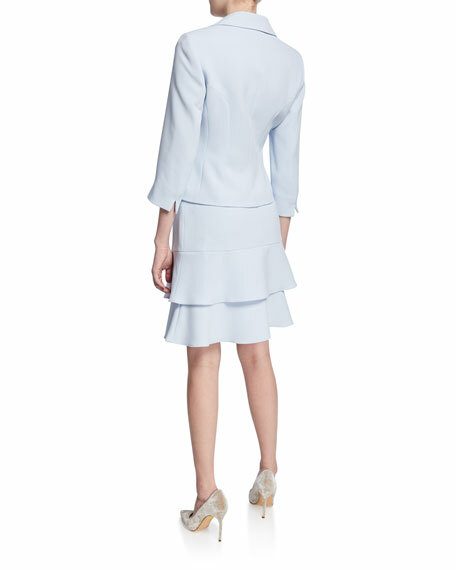 Albert Nipon two-piece jacket and skirt set. American designer Albert Nipon began his fashion career with a line of maternity wear before introducing the stylish, tailored suits for which his name became known. Classic silhouettes and feminine flourishes have inspired a devoted following. For in-store inquiries, use sku #2467160.